Ernest Badway is co-chair of the firm’s Securities Industry Practice and advises clients on a broad range of business matters, including securities, commodities, intellectual property, employment, corporate governance, partnership and shareholder disputes, minority shareholder oppression, contracts and litigation. He also counsels clients on the creation of cryptocurrency exchanges, alternative trading systems, broker-dealers, investment advisers, commodity trading advisers, futures commission merchants, introducing brokers, hedge and private equity funds, and commodity pool operators as well as compliance and regulatory matters relating to their operations. Ernest also assist clients in using ICOs and SAFTs to fundraise, as well as those clients who invest in digital currency and operate digital currency funds. As part of his practice, he also assists financial services firms to obtain BitLicenses, comply with OCIE examinations targeting digital currency investment, and ensure compliance with FinCEN, FINRA and Bank Secrecy Act regulations, including, among other things, Know Your Customer (KYC). Anti-Money Laundering (AML) and data privacy requirements. Similarly, Ernest aids financial services firms with cybersecurity demands, and advises on various regulatory compliance matters, including the comprehensive New York Department of Financial Services Cybersecurity Requirements for Financial Services Companies, and mandates regarding risk assessment, personnel, policy, breach notification and third-party service providers, as well as SEC, CFTC, and FINRA requirements relating to cybersecurity requirements. Ernest is also the former co-chair of the firm’s White-Collar Criminal Defense & Regulatory Compliance Practice and has extensive experience in representing individual and corporate clients in internal investigations. A frequent speaker and author on topics affecting corporations, executives and their employees, Ernest has moderated and participated in many forums, most notably with the American Bar Association, the New York County Lawyers’ Association, the American Conference Institute, the New Jersey Trial Lawyers’ Association and the Association of Corporate Counsel of America. He is the author of Encyclopedia of New York Causes of Action: Elements and Defenses (New York Law Journal Books, May 2018, 10th ed. ), “Chapter 109: The Attorney-Client Privilege and the Work Product Doctrine,” Securities Law Techniques (December 2017) and contributing author for Chapters 1 and 2 of Securities Law Series: Securities Crimes, Vol. 21 (Thomson Reuters/West, September 2017); and “Chapter 42G: Private Placement Sales,” Broker-Dealer Regulation (Practising Law Institute, May 2017). He also authored the Proxy Regulation chapter in the Lexis-Nexis Federal Securities Exchange Act of 1934 Treatise (2018). Ernest has also published articles in the Rutgers Law Review, New York Law School Journal of Taxation and Regulation of Financial Institutions, New York Law Journal, New Jersey Law Journal, the ABA’s WCC Bulletin and industry publications such as The Registered Rep. Magazine and The Hedge Fund Law Report. Numerous media outlets have turned to Ernest for his analysis of securities enforcement and corporate governance issues. He has served as a commentator for CNBC, Bloomberg Television News, Bloomberg Radio, KFXN All News Radio, the Los Angeles CBS Radio affiliate and the public television show “Lawline.” He has also been quoted in The New York Times, Wall Street Journal, the Los Angeles Times, Newsday, New York Post, The Star Ledger, The Record, The Birmingham Daily Record, USA Today, New York Law Journal, CBSMarketwatch.com, Bloomberg.com, Fortune and Foxnews.com, among others. Prior to joining the firm, Ernest was an SEC enforcement attorney and a partner at a New Jersey/New York area law firm. Ernest is an adjunct Assistant Professor of Law at Brooklyn Law School where he teaches a course in securities fraud enforcement. 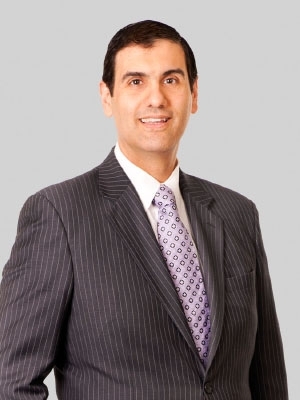 He has been appointed an arbitrator and mediator for The Financial Industry Regulatory Authority, Inc. (formerly, the NASD and NYSE); an arbitrator for the NFA; and an arbitrator and mediator for the New Jersey State Courts. Ernest previously served as treasurer for the New York County Lawyers’ Association. Ernest previously served as treasurer for the New York County Lawyers’ Association.